I am pretty active on internet, especially on mobile internet! Sometimes I think the iPhone was invented just for me. My most used apps are Facebook, TwitBird Pro (Twitter) and FourSquare. With these applications/services I stay in touch with my real life friends when away and my new on-line friends. Although the iPhone is a nice device for reading tweets, scanning facebook updates and for quickly browsing the internet I prefer to use the iPad or a pc/laptop to read articles. So when there was a link in a tweet I read while mobile I rarely clicked it because I didn't want to read it, not at that moment. I used the Favorite button to mark the tweet for later reading. When I switched from one twitter app to TweetBird (Pro) I noticed TwitBird asked me if I wanted to save the link, or if I wanted to Read It Later, or just Read Now. It was then when I discovered ReadItLater, a typical why-did-I-not-think-of-that kind of application. Quite simple but so useful! 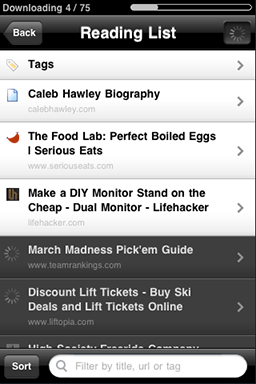 ReadItLater (and also Instapaper by the way) offer you the possibility to quickly bookmark links and webpages. All you need is to do is register and you can save your links, articles, pages, etc. to read them later, when you're behind a larger screen or when you have more time to dedicate. Just login to ReadItLater and you can read everyhting you saved/bookmarked. I've also seen people sharing their lists with others but I just use it for myself, to save those possibly interesting article I can't read now. The Save-to-ReadItLater functionality is integrated in many (mobile) Twitter apps. But you can also add extensions/bookmarklets to your PC's browser so that you can quickly bookmark an interesting page/article for later, just have a look at all the various options on the ReadItLater homepage. Last week I read about the new Digest functionality and I immediately liked the idea of it so I asked for more details. 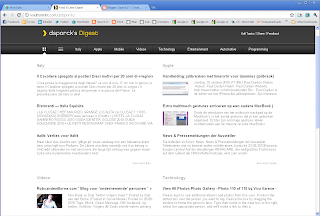 I received an invitation to trial the Digest Beta for a couple of days. Whereas the standard ReadItLater just lists all your saved links in chronological (or alphabetical) order Digest groups them. Some of the groups are auto-generated, others can be created by the user himself. 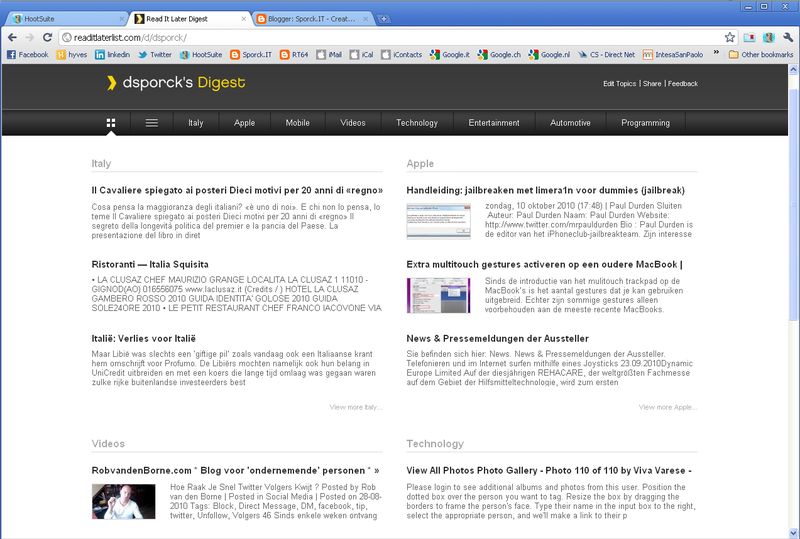 In Digest the links are presented in a better looking interface, with preview of the text and picture (if available). I have immediately paid the fee (now Early Beta Price) to be able to use the Digest functionality also after my trial period is over. One thing that immediately crossed my mind was: can I use it together with FlipBoard on iPad ? I have send this question/suggestion to Nate, the man behind ReadItLater and let's hope he and/or FlipBoard can develop something to have RIL-Digest in FlipBoard. All I need then is permanent access to an iPad (which is now exclusively owned by my wife), so I will probably have to buy one for myself. You don't have an iPad yet and so you don't know what FlipBoard is, take a look at this clip. I think it's is one of the best apps made for iPad. I won't spill any words on FlipBoard here, the clip tells it all!